I’ve known Christina for several years now, but it’s only been recently that I’ve been in her physical presence and gotten to know her in the flesh. Christina was the driving force behind our writers’ adventure in the Deep South this past summer. I gave an account of those travels earlier here while they were happening, in June (including this one). It was hard bidding farewell to Christina and Karen, my two travel comrades, when we parted the end of June, but less daunting knowing Christina, a Wisconsin native, would be moving West in August, and hoped to plan her journey around a stop in Fargo. This weekend, it came to be. As planned, Christina, along with her cat, Ginger, who is moving with her, and her parents, Dan and Jean, who are helping transport her belongings, ended their second leg right here in Friendly Fargo. Now, as much as I love Fargo, it’s not a frequent destination for much of the world. It wasn’t a final destination for Christina and her parents, either, but their reprieve here was such a blessing to me, and coincided on a weekend when my own mother is in town visiting for my birthday. 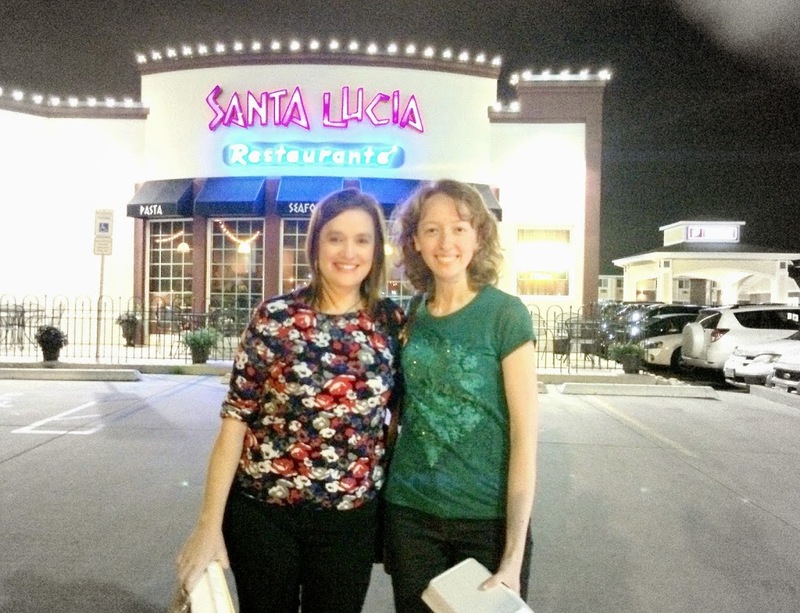 Christina and I deliberated some of the top choices for eateries in Fargo and ultimately, I pushed for Santa Lucia based on location, food excellence and atmosphere. From the review I heard the next morning on the way to church, the expectations were met and exceeded. 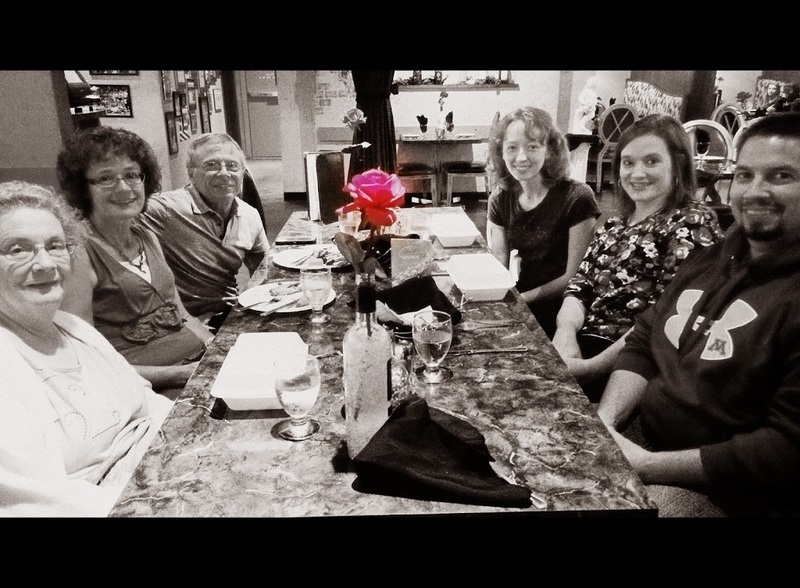 It was a lovely evening with the six of us, and oh so yummy! 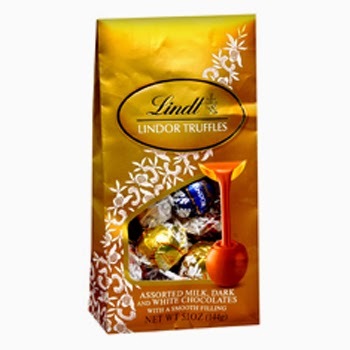 …And a variety package of Lindor Truffles. (I’m not saying for sure but they might be gone already, though if so, I must insert the deed didn’t happen singlehandedly). 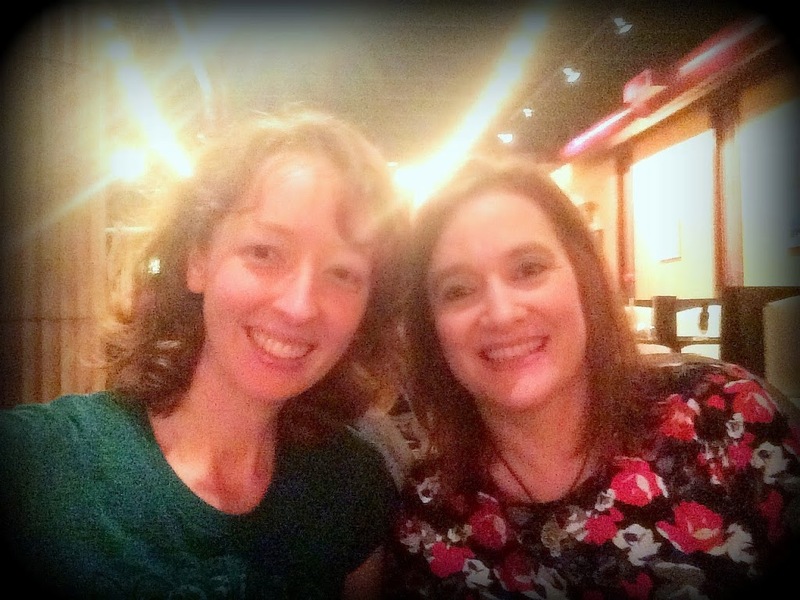 Seeing my lovely friend’s face once again, enjoying a meal with her once again, and attending Mass with her once again was like a little kiss from God. And you know what? I’ll take it. Because these are the things in life that make all those in-between times that drain and drown the soul not only tolerable but livable and hope-filled. After Mass, I introduced Christina to the Healing Room at our church, where I was anointed for the first time by our priest on Friday (as mentioned here). 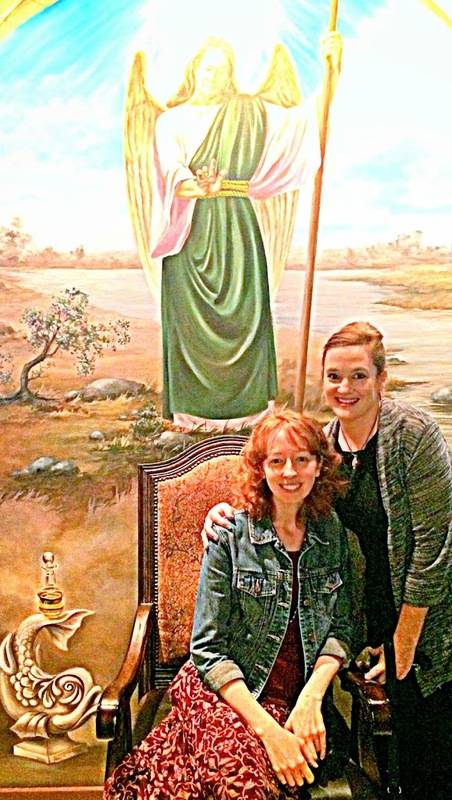 What made it especially beautiful for both of us is that St. Raphael, whose hand is extended to us from above in the painting behind, has become a very special part of our friendship. Not only is St. Raphael the patron saint of travelers — and it has been traveling through which we have been bound — but he also had a very special place in the heart of our heroine, Flannery O’Connor, who kept him near throughout her illness, which ultimately claimed her life at 39. Our friendship and journeying together seemed to come full circle in this moment, and in some ways, made this goodbye easier to take. In fact, when my birthday rolls around tomorrow, Tuesday, it’s going to feel very strange, because I feel like the celebration has already happened. The blessing certainly has. Another confluence is that Christina, 27, is heading to the same place — with so many unknowns before her but a lot of excitement and hope — where Troy and I headed in a similar fashion when we were at the shining age of 23 and newly married, our lives unfolding before us. We are grateful to have helped be part of the sendoff, and I know for certain she will bring a light to the West. God be with you, sweet Christina. St. Raphael, be with you. Flannery, be with you. Jesus, Mary and Joseph, be with you. You’re going to do great! Q4U: What special guests have you received recently? 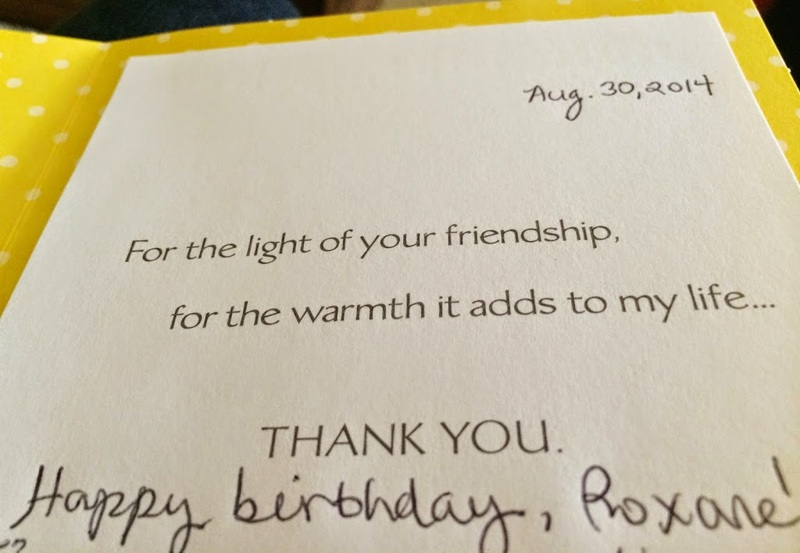 Your warm friendship you so effortlessly exude is saturating your words and emanating in such a joyful and heartfelt way. What a wonderful reunion! 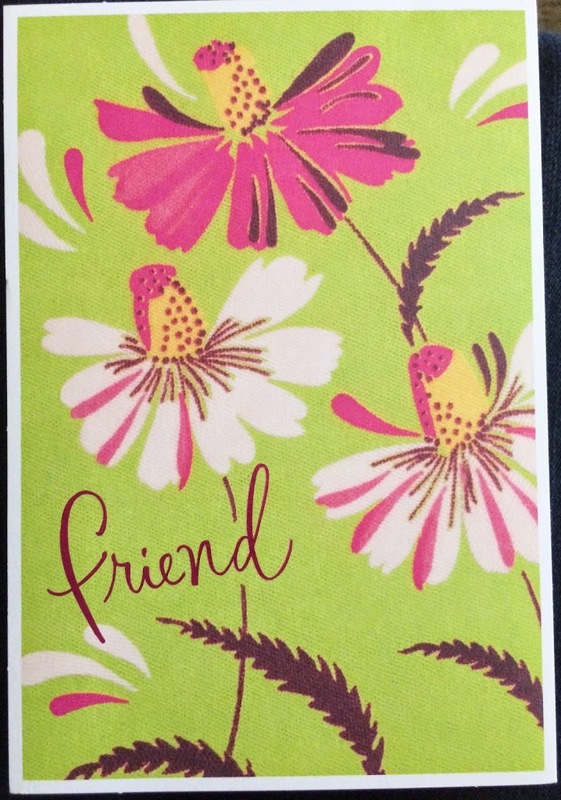 I feel honored and blessed to call you friend, myself!